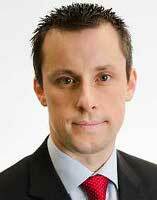 Simon is a Partner in our Transaction Advisory Services team and leads the Valuation & Business Modelling practice. He specialises in providing commercially-focused solutions to listed and private clients internationally and across Ireland. His clients include those in a number of sectors, including aviation, agri-food, telecoms and consumer products.